Leather Wine Tote 2-Bottle (P/N 4025). 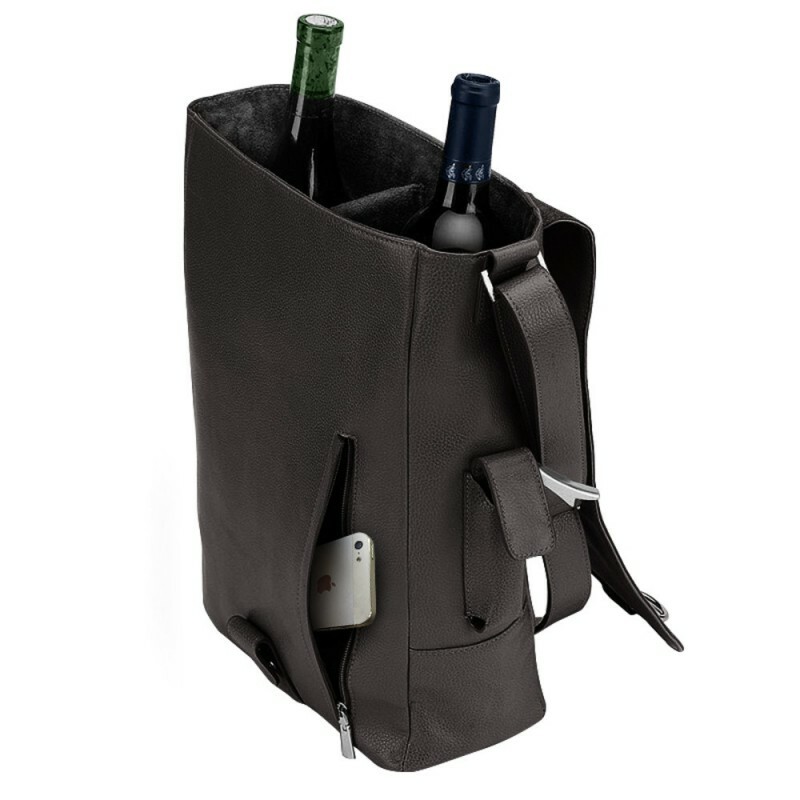 This insulated hand-made leather bag will protect and safely transport 2 bottles of your favorite wine. A must-have for ardent wine enthusiasts, the bag features sophisticated craftsmanship, handcrafted by artisans and aged to perfection. In addition to providing added protection, the insulation will ensure that your wine is chilled and ready to drink. 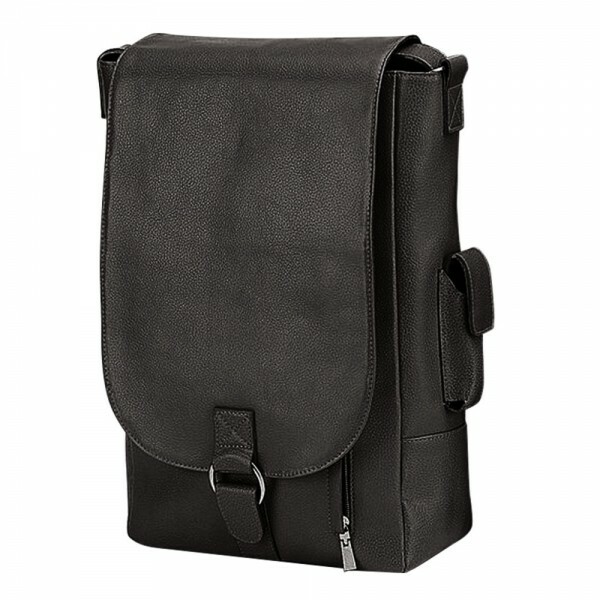 The bag includes a leather shoulder strap, stainless steel waiter's corkscrew, and zippered pocket for storage of phone, keys or accessories. 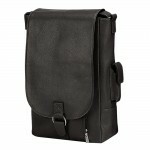 Celebrate a romantic afternoon or dinner party in splendid style with this 2-bottle black leather tote.